In the interest of public safety, Orange County Mayor Teresa Jacobs issued a mandatory evacuation notice to all residents living in mobile homes in Orange County. These structures are particularly high risk for storm-related damage and the order has been issued in an effort to preserve the safety of those residents. 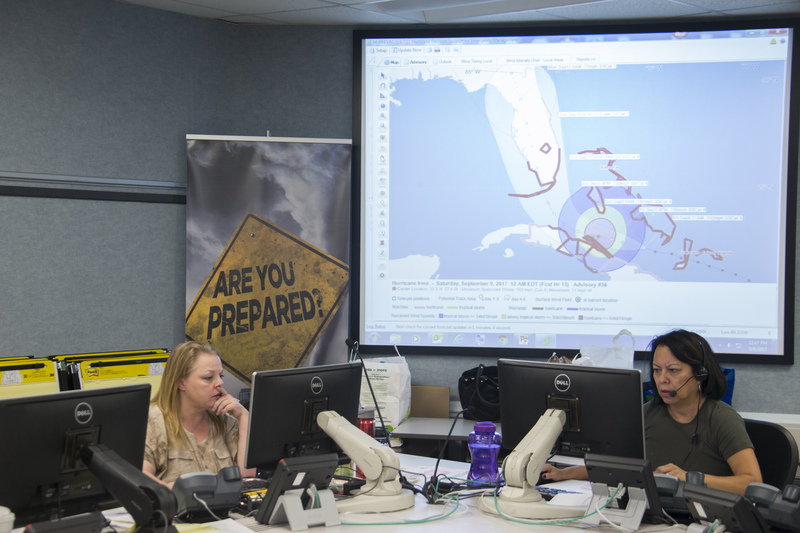 Upon notice to evacuate, residents are expected to make final preparations and plans to seek shelter prior to the onset of Hurricane Irma which is anticipated to affect Central Florida beginning Sunday morning. At this time, Orange County Fire Rescue personnel are going door-to-door in various communities to deliver the evacuation notice. Personnel are encouraging residents to stay with family or make their way to shelters which will open at 9 a.m. Saturday. 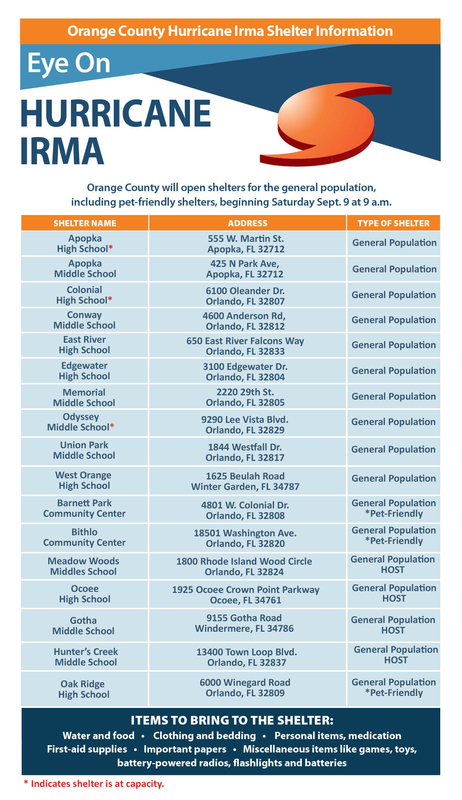 Residents can find information regarding what to bring and how to prepare for sheltering at ocfl.net. Residents with special medical needs who require transportation assistance to a shelter can contact 311 (or 407-836-3111) for additional information and support. Evacuees should bring emergency supply kits containing water, important paperwork and medications. For pet owners in affected areas, pet-friendly evacuation shelters are available. Those utilizing this option are encouraged to bring supplies for their pets, including food, necessary medications, vaccination records and a carrier/crate. Visit www.ocfl.net/irma for more information. Throughout this emergency, the safety, security and survivability of citizens remains the top priority for Orange County.